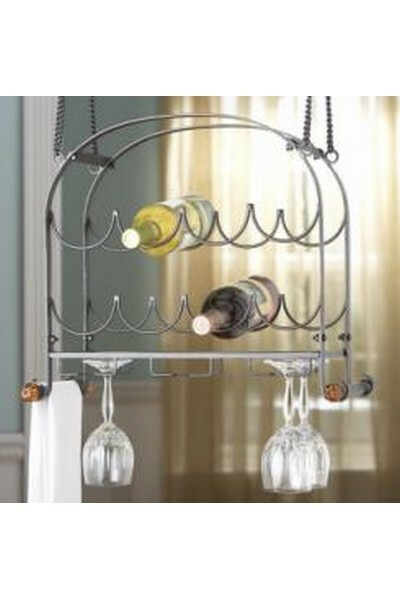 This eight bottle hanging wine rack can also hold 6 stemed wine glasses. On either end there is a towel bar. 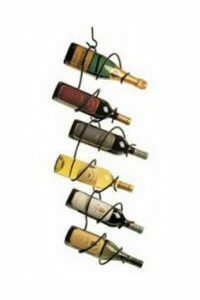 This wine rack would be great hanging in a kitchen or bar area which has limited space. 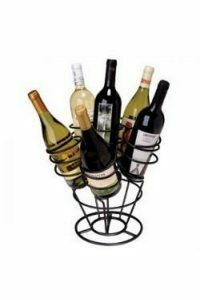 It is made of Iron and has a matte black powdercoat finish. 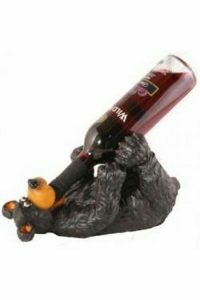 It measures 19"L x 10"W x 16"H.